After tallying the results, the consensus for the best time to meet is: Tuesday, September 25th @ 9:00am PST/SLT. 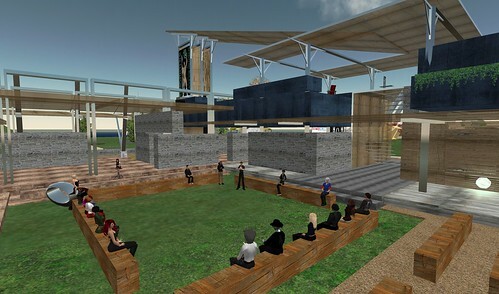 Here is the slurl link to the ‘Studio Wikitecture’ parcel in Second Life. Although kick-off is not until Oct. 15th, we wanted to hold an early meeting to get a gauge who would like to participate as well as share some improved features projected for the new website and inworld voting/commenting system. In addition, we would like to hear your thoughts on which of the three ‘Open Architecture Network’ challenges we should pursue. We are excited that the project the 3rd Wikitecture experiment will center around will be the competition recently announced by the ‘Open Architecture Network’. The ‘AMD Open Architecture Challenge’ is an open, international design competition. Its aim is to develop solutions for building sustainable, multi-purpose, low-cost technology facilities for those who need them most. They have three challenges to choose from—a project based in South American, Africa, or Asia. We would like for the next meeting to get your opinion on which of the three we should pursue as a collaborative entry. The following are links to the specific competition briefs. Since the OAN is an “open-source community dedicated to improving living conditions through innovative and sustainable design”, we thought it would be a perfect opportunity to submit an entry for the competition that is, in turn, designed and composed in the same collaborative and open-source fashion OAN is known for. What is ‘Studio Wikitecture’ Group in Second Life…………………………………………………. Studio Wikitecture is a ‘Second Life’ group composed of a diverse spectrum of individuals interested in exploring the potential of applying an Open Source paradigm to the design and production of both real and virtual architecture and urban planning. 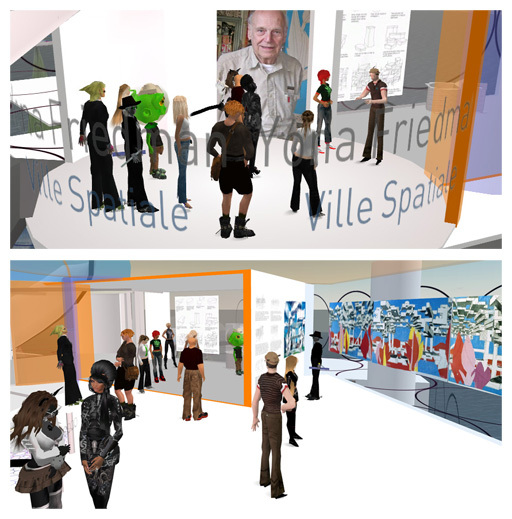 We have over the last 10 months been conducting Wikitecture experiments within Second Life to tease out the exact procedures and protocols one would need within a Metaverse to harness and aggregate a group’s collective intelligence in creating an architecturally noteworthy design. In addition, here are some excerpts from a Manifesto written by Dennis Kaspori that outlines some of the salient points around an open-source approach to architecture. Apparently WordPress has a different quotation system, or makes things bold – or some such trouble. Sorry for the inconvenience!